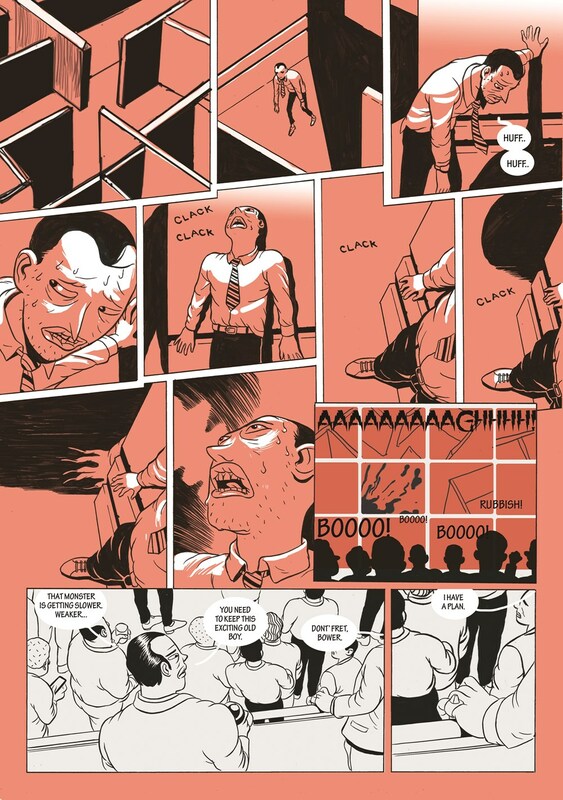 Check out a preview, courtesy of Nobrow. 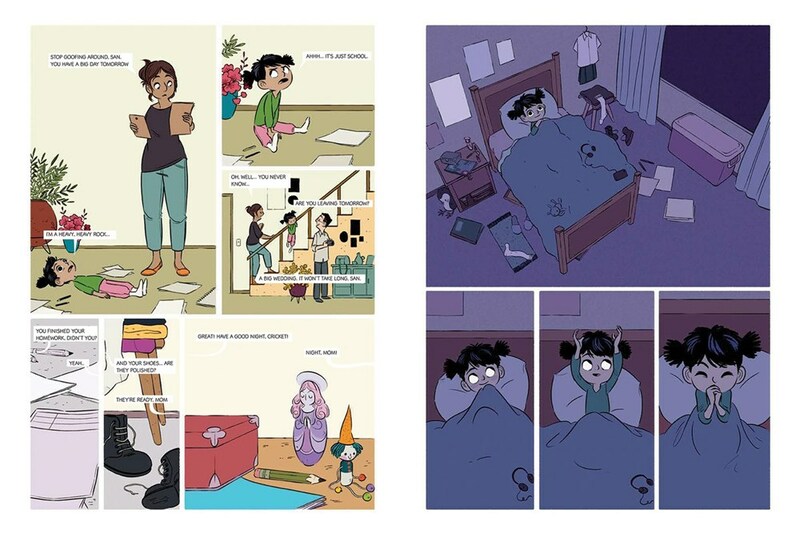 The fine folks at Nobrow have shared a preview of one of their latest books, Nightlights by Bogotá-based cartoonist and puppeteer Lorena Alvarez, who has done work for BOOM!’s Adventure Time books as well as for Disney and Nickelodeon. 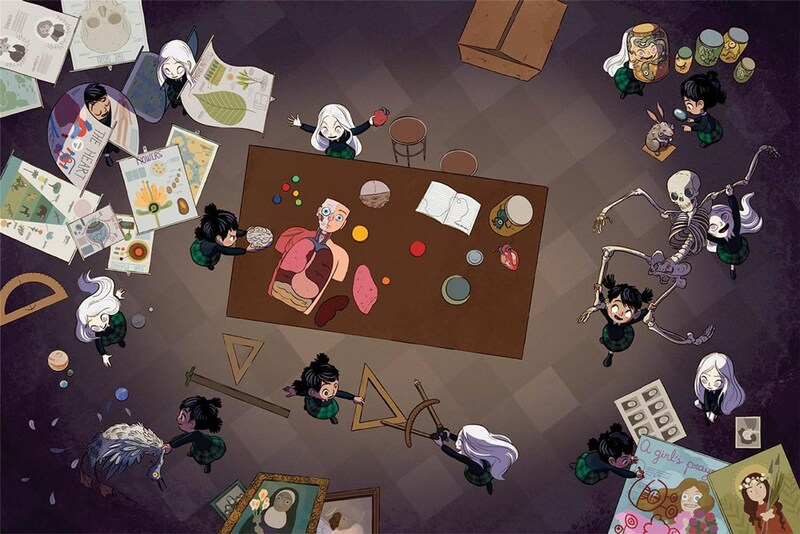 The story revolves around a little girl who creates imaginary (maybe?) friends out of the tiny lights that appear in her room, and the new student at school, Morpie, who seems to know something about them. According to reviews, it sounds creepier than it actually is, and as you’ll see below, the artwork is absolutely gorgeous. 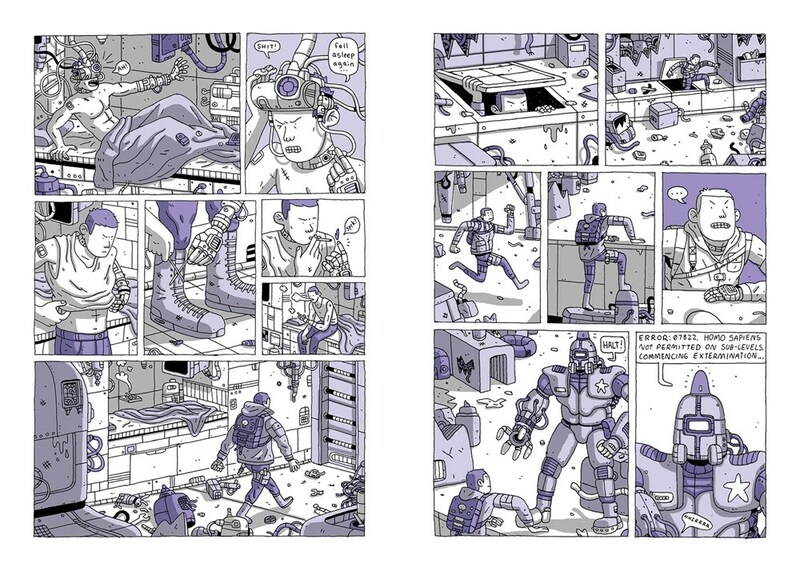 Check out a preview and the trailer for the upcoming graphic novel from Nobrow Press. 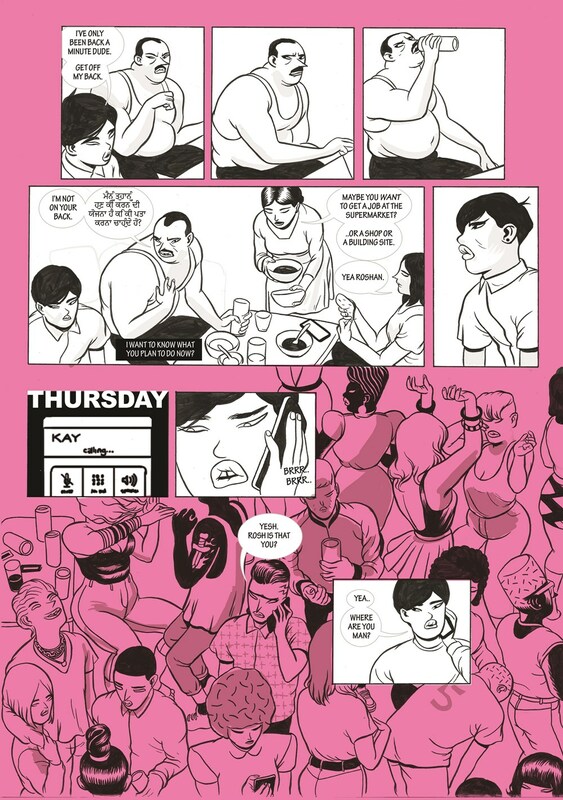 You can count on Nobrow Press to bring out a lot of interesting and cool comics and graphic novels, and their fall/winter slate, which I detailed back in June, is no exception. One of the projects that jumped out at me back back in June when I was putting that post together was SP4RX. Wren McDonald‘s science fiction/social commentary/political thriller is about a hacker in a dystopian future who discovers a big secret about a cybernetic implants program being run by Structus Industries. McDonald’s artwork is the big draw for me here; it has a dynamic quality with huge amounts of detail packed into it, where you want to examine every panel further just to see what you missed. New books from Luke Pearson, Wren McDonald, Lorena Alvarez, Luke Healy and Dilraj Mann will arrive starting in September. 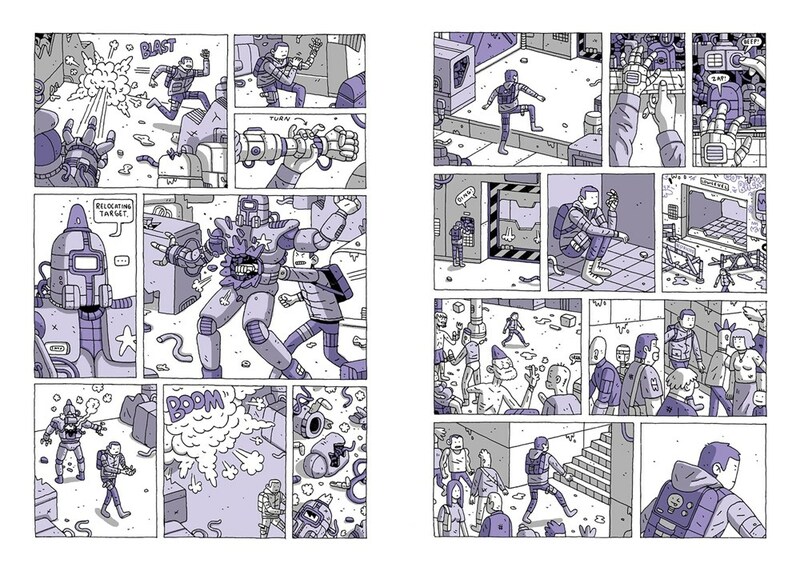 The fine folks at Nobrow have released their fall/winter catalog, which includes several new graphic novels from Luke Pearson, Wren McDonald, Lorena Alvarez, Luke Healy and Dilraj Mann. It’s an impressive line-up that features several strong debuts. 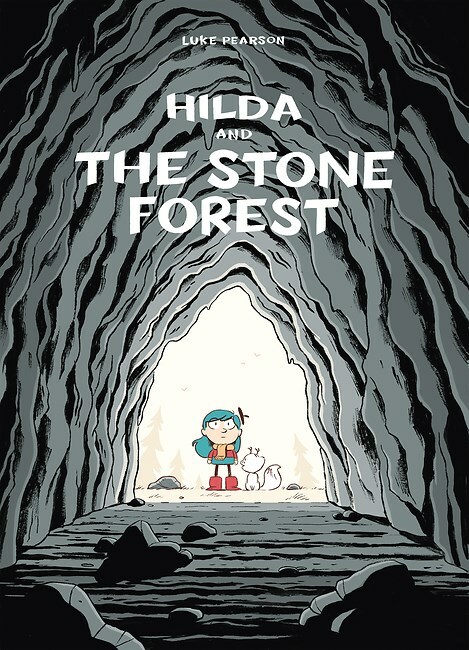 Hilda and the Stone Forest, by Luke Pearson. Due in stores in September. 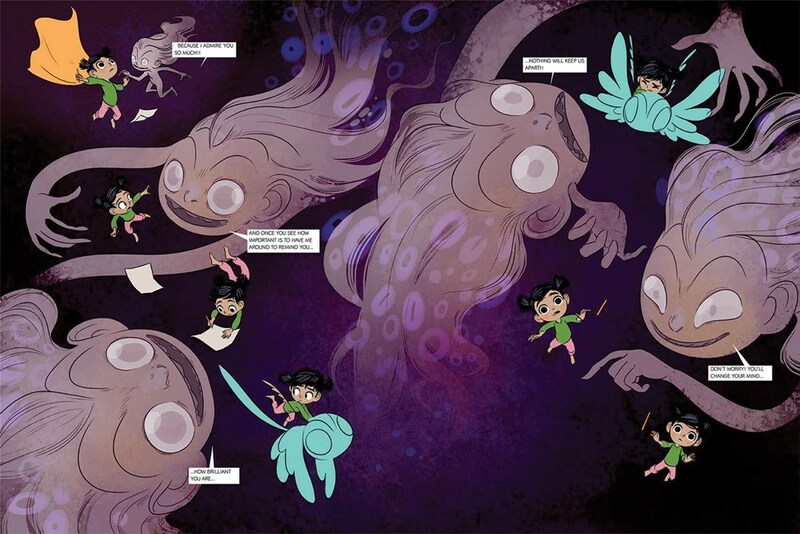 The city of Trolberg has some dark secrets to reveal and Hilda is about to discover them! Hilda may be grounded, but that won’t stop her from heading off on another daring adventure! But everything is thrown off course when her mother catches her and is dragged along for the ride. Furious with each other, the bickering pair find themselves lost in the land of the trolls, forced to embark on a dangerous journey to make their way home. And to make matters even more difficult, Hilda has to do so . . . as a troll? Buckle your seatbelts for a crazy body-swapping adventure! 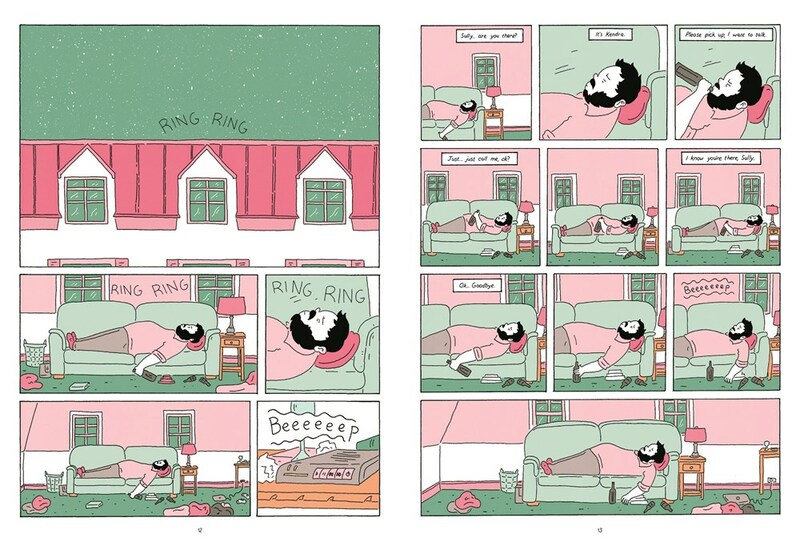 In addition, Nobrow will release a paperback version of Hilda and the Bird Parade in November. 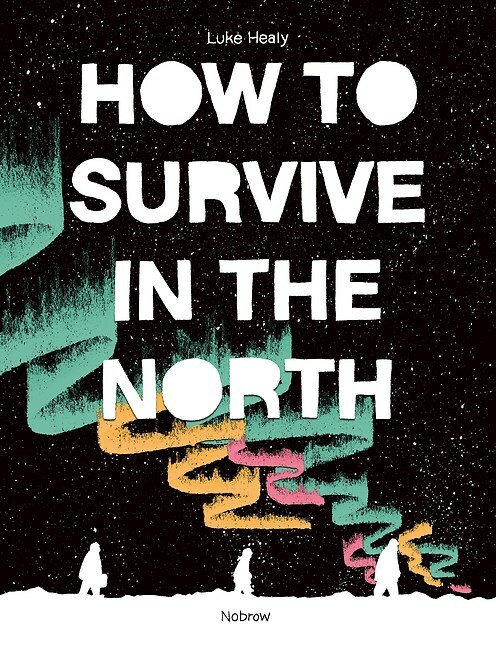 How to Survive in the North, by Luke Healy. Due in November. 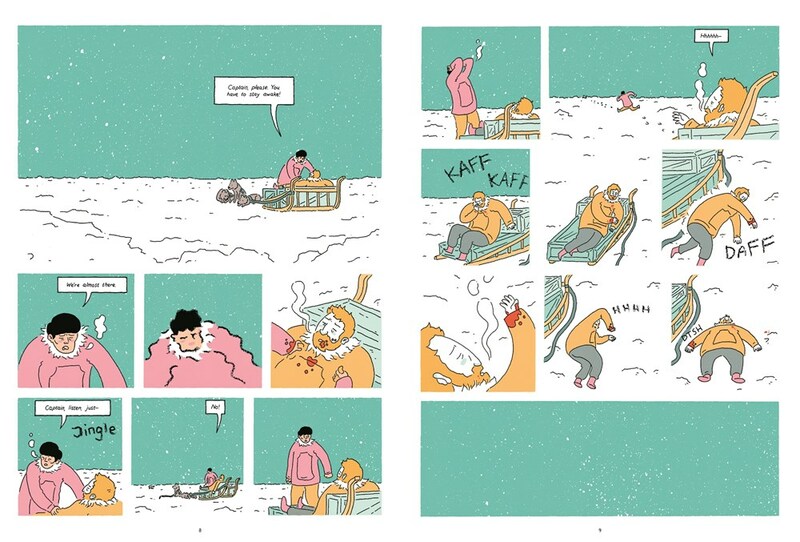 A unique graphic novel telling the stories of real and fictional Arctic castaways struggling to survive the long Northern winter. 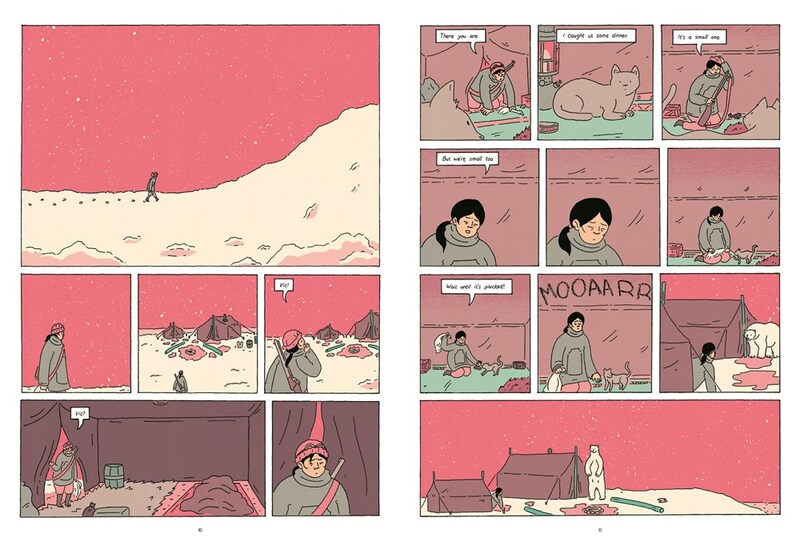 With stunning narrative skill, this compelling graphic novel intricately weaves together true-life narratives from 1912, 1926 and a fictional story set in the present day. How To Survive in the North is an unforgettable journey of love and loss, showing the strength it takes to survive in the harshest conditions. 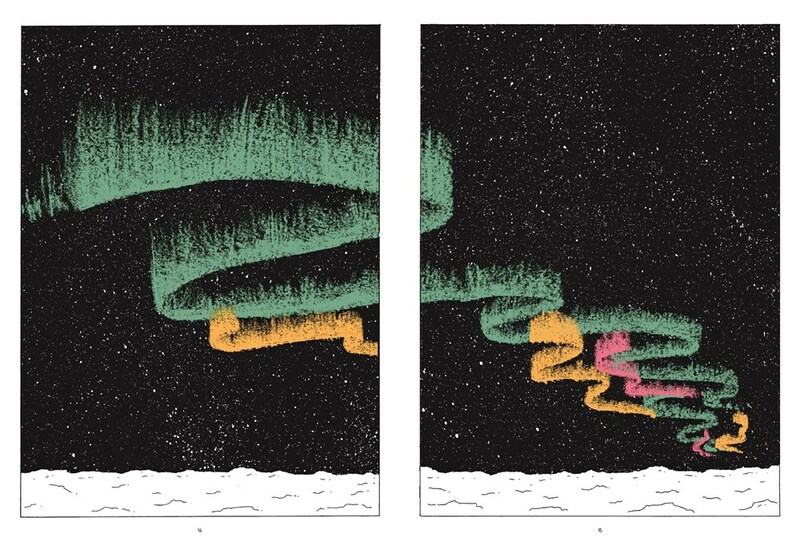 Locomotion, by Golden Cosmos. Due in December. 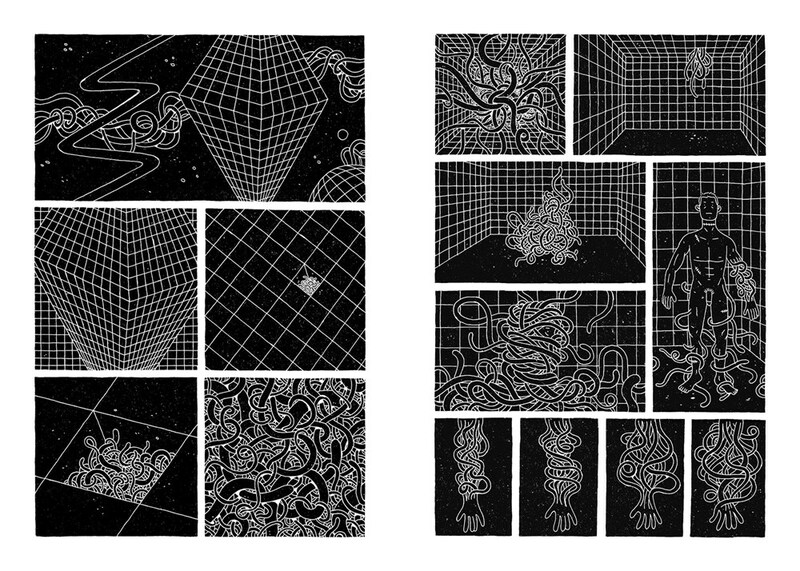 The latest in Nobrow’s “leporello” line of concertina books sees the return of Daniel Dolz and Doris Freigofas, a.k.a. Golden Cosmos, the German duo whose High Times remains one of Nobrow’s most popular titles (I wonder how many people thought they were getting something besides a book about planes, based on the title?). Locomotion, meanwhile, isn’t about the popular dance craze that once ruled the Earth, but is focused on trains. A stunning double-sided panorama measuring 54 inches on the history of trains printed in glorious spot color! The beautiful concertina book folds out to a stunning 54 inch panorama detailing the history of trains and locomotives from the very first railroads and machines to sustainability in the twenty-first century and beyond! 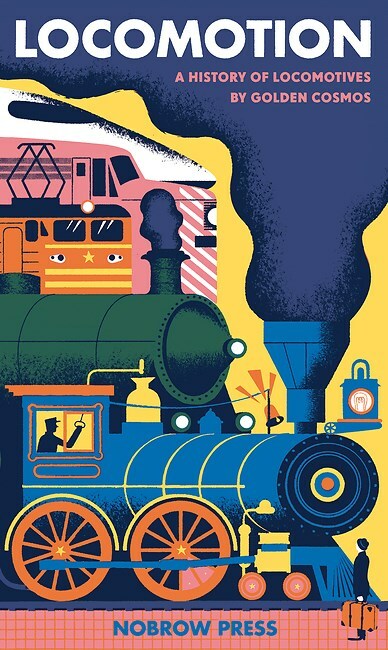 A brilliant wraparound cover details the notable benchmarks in the history and mythology of trains. Golden Cosmos was set up in 2010 as a collborative moniker for German artistic couple Daniel Doltz and Doris Freigofas. 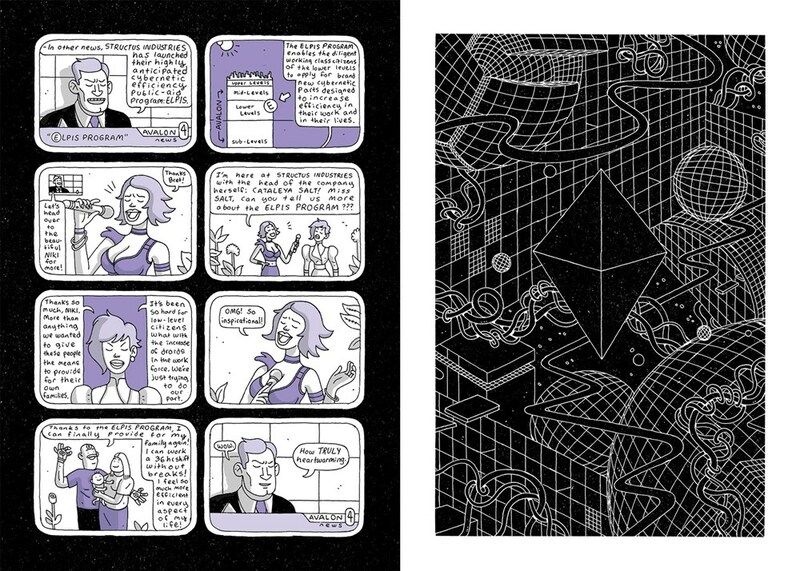 Their deep knowledge of traditional printmaking techniques and experiences in self-publishing that have won them widespread critical acclaim in illustration circles made them the perfect choice for our trademark concertina series. Their bold use of color and adeptness for shape and form recall the bold patterns and geometry of early Russian constructivism, with a nod to mid-century French commercial art. There is no doubt that this will be a beauty! SP4RX is the story of mankind clawing for survival. Set in a future where a class system has emerged, the world is divided into five levels, with the elite ruling from the extravagant top level. An abandoned ground level is used as a garbage dump. No living organisms are permitted there. But that doesn’t stop SP4RX, an extremely young hacker who lives off grid, eluding the military force that governs the other levels. He hacks into corporations and sells stolen data to wealthy buyers on the black market—just your average thief. Structus Industries introduces a welfare program called the “Elpis Program”, which allows the working class to apply for Cybernetic implants to make workers more efficient. On the surface, it seems like a program to empower the poor and allow them to rise to the ranks of the elite. But SP4RX soon discovers all is not as it seems. The welfare program is a highly politicized and intelligent ploy to destroy the working class and replace them with highly effective technology. 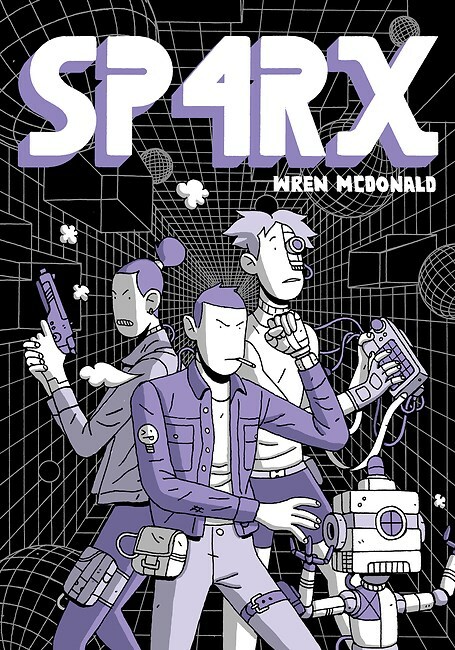 SP4RX and Structus are set on a collision course with the fate of humanity at stake in Wren McDonald’s latest sci-fi tale of survival and corruption! 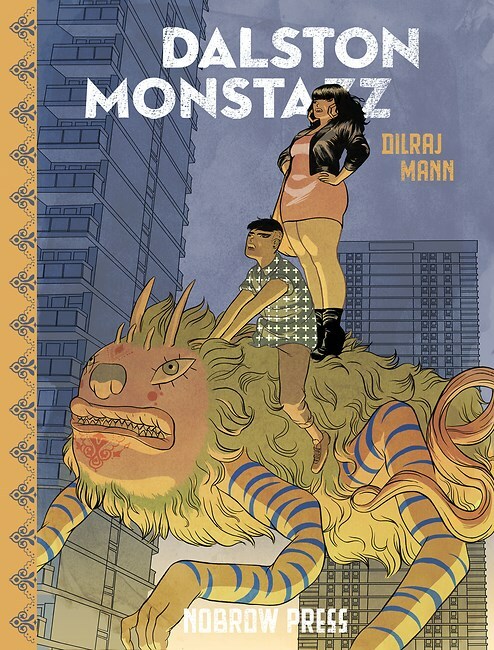 Dalston Monstazz, by Dilraj Mann. Due in February. A gripping graphic novel set in the heart of East London’s trendy center as it falls prey to monstrous calamity. Dalston, East London . . . sometime in the future. Below the city’s creaking pavements, where the slabs sag from the weight of soulless new glass fronted apartment blocks, chain coffee shops and hoards of real estate agencies, the earth is beginning to crack. And from these fissures, like woodlice crawling from under ancient stone, the Monstazz emerge . . .
Roshan and K had heard about the shadowy Monstazz that were emerging from the foundations beneath Dalston’s recent hyper-development. But they didn’t expect to be tangled up in its murky underbelly; fighting gangsters, megalomaniacal property developers and amongst themselves. Not in the least because of a girl. Even if she is the most badass girl in town. Nightlights, by Lorena Alvarez Gomez. Due next March. 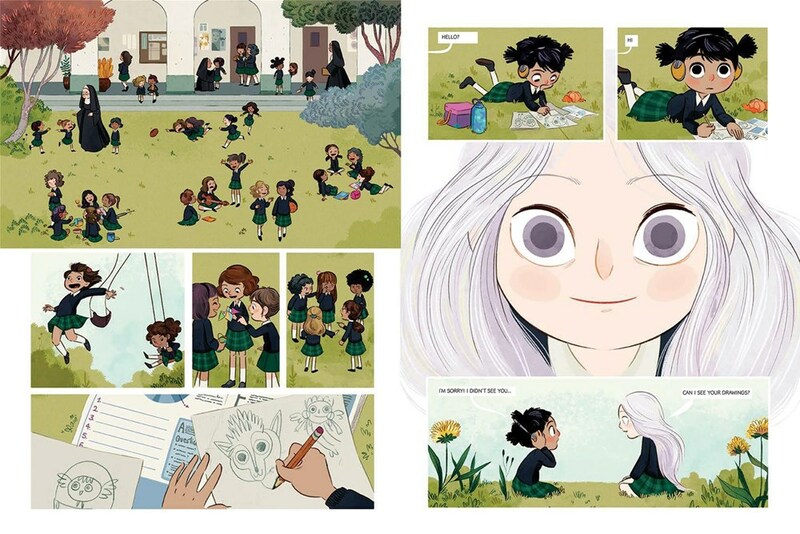 A beautiful, mysterious graphic novel about fear, insecurity and creativity, from the enchanting imagination of Lorena Alvarez Gomez. Every night, tiny stars appear out of the darkness in little Sandy’s bedroom. She catches them and creates wonderful creatures to play with until she falls asleep, and in the morning brings them back to life in the whimsical drawings that cover her room. 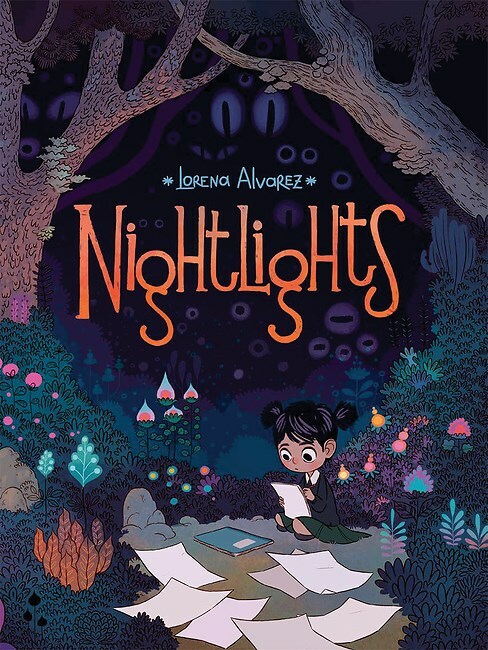 Nightlights is a beautiful story about fear, insecurity, and creativity, from the enchanting imagination of Lorena Gomez.